Newburgh Priory is a pheasant and partridge shoot in the Howardian Hills in North Yorkshire which has long enjoyed a reputation for quality sport. Gaze across the lake to the ancient stately home during a duck drive and ponder the possibility that Oliver Cromwell’s head could be buried in one of its walls, planted there by his daughter, Mary. She reputedly retrieved the skull after her father had been posthumously hung, drawn and quartered in London on the orders of Charles ll, a grisly act of revenge for Cromwell’s part in the 1649 execution of Charles l. Cromwell argued that killing the king was the only sure way to bring two bloody English Civil Wars to an end. It did. A century earlier the estate, which nestles in the Howardian Hills, was by all accounts one of Henry VIII’s favourite hunting grounds. Unfortunately, his fondness for the countryside didn’t extend to Byland Abbey, the ruins of which stand on the estate. Nor for that matter another Cistercian monastery, Rievaulx Abbey, just a mile or two away. He dissolved them both in 1538. Ruins aside, Rievaulx is also well known among sportsmen as a high bird shoot of repute, and the same goes for a number of adjoining shoots in the Helmsley area. 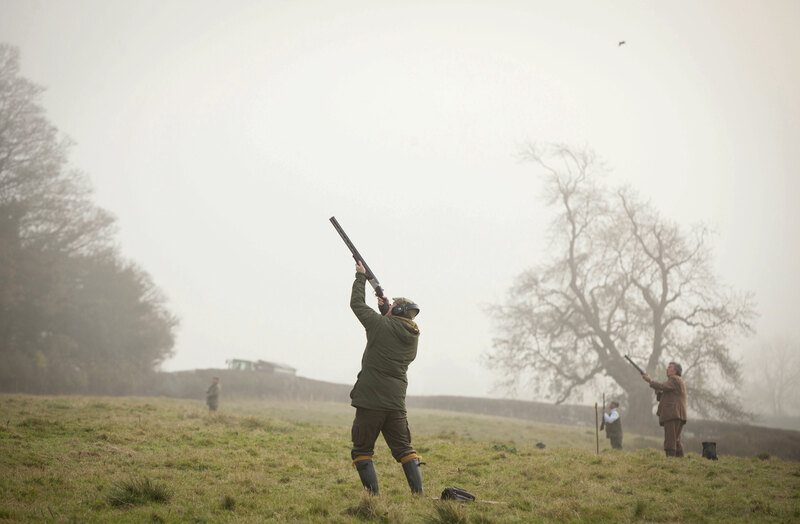 Newburgh Priory might not show such high pheasants and partridge as its near neighbours but this 3,000-acre shoot does have its fair share of signature drives that sparkle with birds capable of challenging the best. Given anything of a breeze they really fizz. 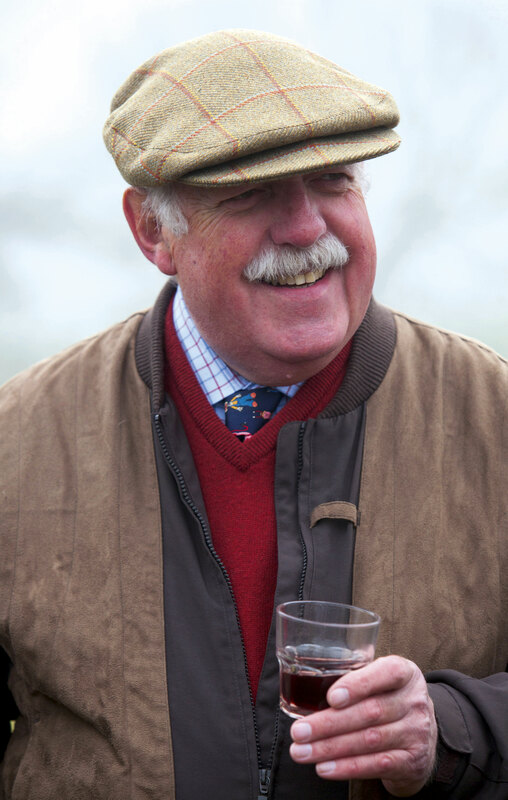 Sadly the breeze wasn’t there on the day I took a gun and joined Malcolm Plant’s roving syndicate back in November. Instead it was misty and as still as a mill pond – the mist dense in places but not enough to cause a cancellation. And in spite of the frustrating conditions the birds still flew well enough off the rolling hillsides and steep little valleys to make for an interesting and enjoyable 120-bird day. Newburgh Priory headkeeper Rob Easton. Undoubtedly the people most disappointed with the weather were shoot organiser Mark Faulkner and headkeeper Rob Easton, as it pretty much wrecked their planned programme of drives. The start was delayed to give the mist a chance to lift and allow Mark’s team time to find parts of the estate least affected by it. In fact on a couple where it was thinnest a weak sun even managed to break through and show the trees in their lovely late autumn colours. On a clear day the extensive woodlands here – all 1,600 acres of them – are ablaze with russets, gold and yellow. Shame we didn’t see it in all its glory. The stubborn fog was still around to play a part on Laird’s Loch. Malcolm and his pals – all members of the nearby Hovingham Gun Club – have taken a day at Newburgh Priory for more than 20 years and they will return again this season. “We all look forward to shooting here and would hate to miss out,” said Malcolm. “The countryside is beautiful and the estate has a big number of drives to offer so the variety and interest is always there. Malcolm Plant, shoot captain of the team from Hovingham Gun Club. “We take other days elsewhere but we like the friendliness of Newburgh Priory and its team. The other big plus is that it has slots for 100 or so bag days and the birds are a good sporting challenge without being stupidly high. Mind you, with a bit of a breeze to help them along they can also be tricky little devils,” added Malcolm, a retired industrial chemist and busy shooting coach with the Institute of Professional Shooting Instructors. 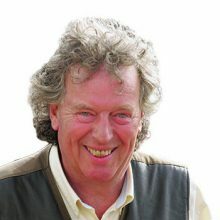 Newburgh Priory has a long history of driven shooting and until eight years ago days were arranged and run personally by estate owner Sir George Wombwell. Mark took over where Sir George left off and one of the first jobs was to install Rob as headkeeper, with Jim Harrison as his underkeeper. 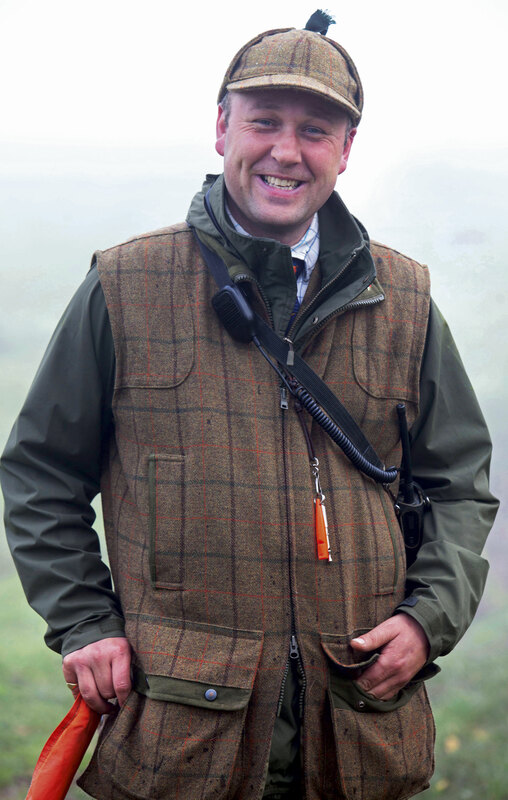 Rob came to the job well qualified having worked on the big and busy Duncombe Park shoot at nearby Helmsley for a number of years. Mark and Rob make a good team, managing around three days weekly, starting on partridge and duck in September with the pheasants kicking in from October. Mark hosts each day personally to make sure everything runs smoothly and see that guests enjoy themselves. There’s no shortage of birds thanks to the fact Mark owns Brafferton Game Farm just a few miles away. The poults are released around the end of June to join a noticeable stock of game left from the previous season, and whatever birds manage to hatch in the wild. A duck drive or two can be fitted in if guests require it, one from the lake in front of Newburgh Priory while an even more exciting proposition is Pond Head Reservoir, a far larger stretch of water between the villages of Yearsley and Oulston which holds a variety of duck, along with feral graylag and Canada geese. 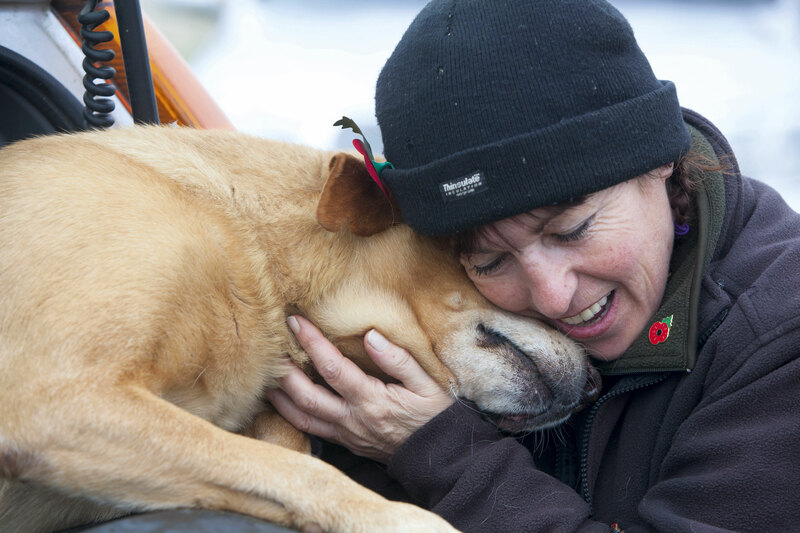 Jane Towse shows her labrador some affection between drives. Talking of drives, new ones to the 30 or so already in use are being added or planned yearly, the latest being Irishman’s, a steep bankside recently planted with tree saplings. We didn’t get the pleasure of shooting it but I watched a team in action there in mid-January and, er, make something of an arse of things… the birds were far, far to good for them. What a waste. The only plus I suppose was that Jane Towse (Mark’s girlfriend) and her team of dogs had a much quieter job of picking-up than usual. Jane, like Mark, is out on every shoot day through the long season and admits to “being clapped out” by the end of it and in need of a holiday. 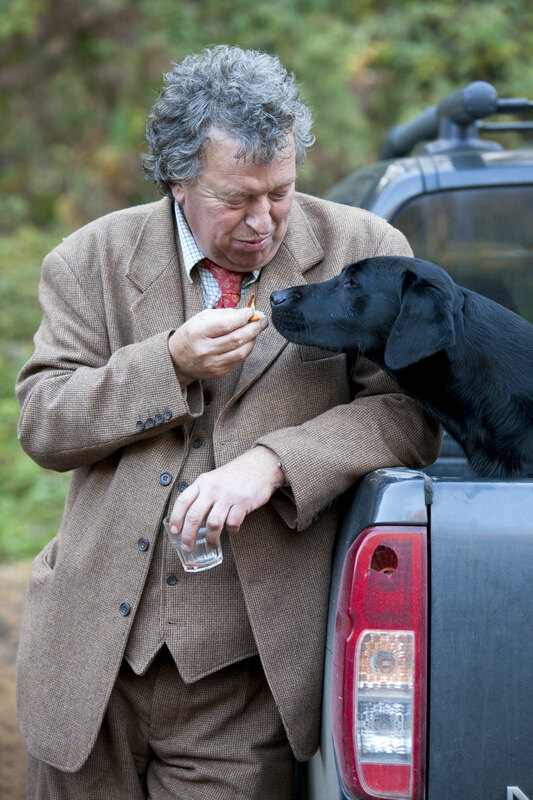 The author offers a treat to a new four-footed friend. 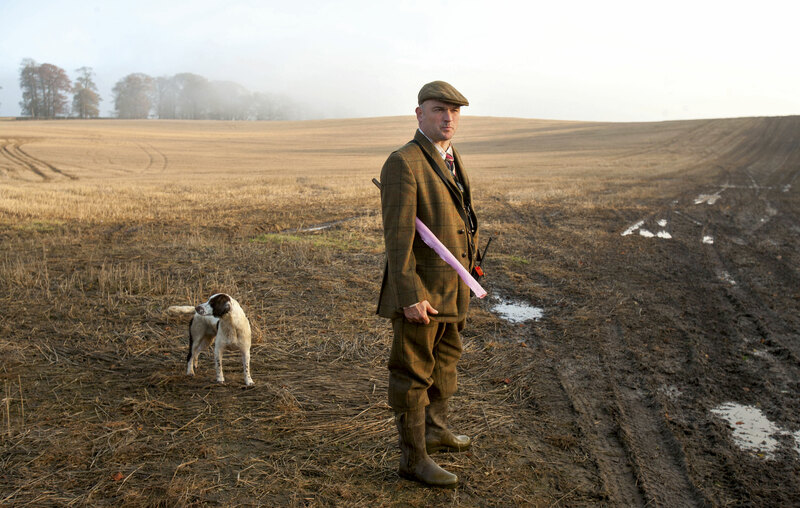 A good indication of Newburgh Priory’s popularity is that a majority of the parties which shoot there – like the Hovingham lads – rebook every season without fail, That said, there are usually vacancies so it’s well worth putting in a call to Mark at his Brafferton Game Farm HQ. Days at Newburgh Priory are tailor-made for parties of between eight to 10 guns with back-to-back days available. Bag sizes range from 100 to 400 with drives arranged to suit the ability of the guests. For more information, contact Mark Faulkner on 01423 360402. How to get there, where to stay and what to eat. Newburgh Priory is located near to the village of Coxwold, on the bottom edge of the North York Moors National Park. The shoot is around five miles from the A19, making for a four-hour drive from London via the A1 and A168. It’s less than 10 miles from Thirsk Railway Station on the East Coast Mainline. Meanwhile Leeds/Bradford, Newcastle and Durham airports are all within 90 minutes. And if you want a car and driver Yorkshire Chauffeur Company comes highly recommended. There is lots of shoot friendly accommodation in the area. The Feversham Arms (which comes with a spa), the Carlton Lodge B&B (suitable for smaller parties), The Feathers and the iconic Black Swan are all based in and around the popular market town of Helmsley, eight miles north east of Coxwold on the A170. You’ll want gun storage, drying rooms, private dining, dog kenneling and a feast of good local fare of course, and each of these hotels offers most if not all of these services depending on which one you choose. Most shooting parties start the day with a cooked breakfast in the cosy Coxwold Tearooms close to Newburgh Priory, finishing with a late afternoon bar meal in one of several excellent pubs just a few minutes drive from the shoot. Not the least of these are the Fauconberg Arms in Coxwold and the Wombwell Arms in nearby Wass. You might also like to try The Star in at Harome, whose owners also run Pern’s of Helmsley, a shop on the market square. Seek out a Yorkshire curd from Pern’s if you’re looking for a culinary souvenir from your trip.